The Skin Damage Danger You Didn't Expect! The Skin Damage Danger You Didn’t Expect! Home / Skin Care Tips / The Skin Damage Danger You Didn’t Expect! If you care about protecting your skin, you probably think you’re diligent with your sunscreen. You apply SPF in a daily moisturizer and slather on the sunscreen when out in the sun, right? But, there are two areas that may be getting extra exposure that you haven’t considered. While driving, you may think you’re protected, but your hands, reaching out towards the steering wheel, are uniquely exposed! Hands are very susceptible to signs of aging, and spots, dryness, loose skin and wrinkles will begin to appear much earlier on the thin skin of your hands. If you drive just an hour per day, that’s an extra hour in the sun on delicate skin you may not have even realized! Select a hand cream with an SPF of at least 30 to keep in your purse or car. This will keep your skin protected, and treat dry hands and cuticles while you drive! In Japan, where sun protection is taken very seriously, it’s not uncommon to see women driving with gloves to protect their hands. You can try this option if you don’t like the greasy feel of some hand creams. Or, apply gloves over your moisturizer and enjoy your daily in-car spa treatment! 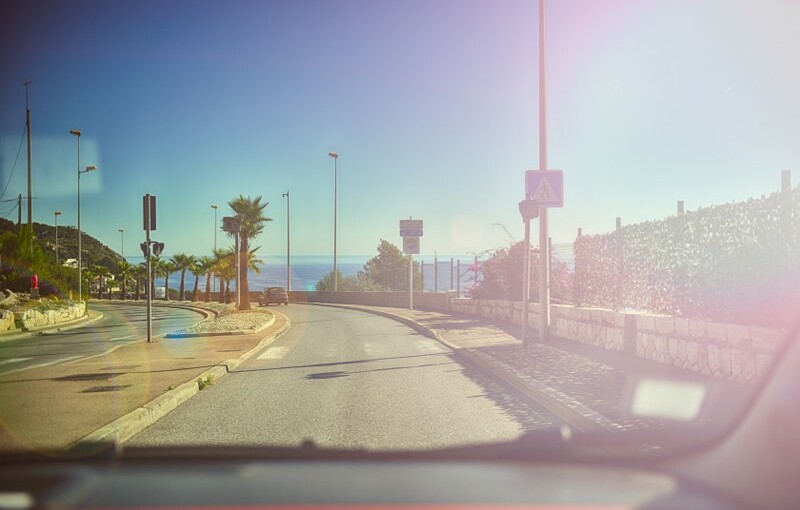 Windshields are usually treated to block UVA and UVB rays, so your face does get some protection. Side windows, however, are not treated. Make sure to keep a lip balm with SPF to apply in the car, as sun exposure through your driver’s window can also make collagen in lips break down more quickly and deplete youthful volume. P.S. Did you know that airplanes can also pose a unique skin damage risk? Should I Keep My Products in the Fridge? How Can I Help My Skin Recover from Sleeping in Makeup?